Fellowship Previews: CALEXIT is Coming. A Provocative, New Comic Book from Black Mask. 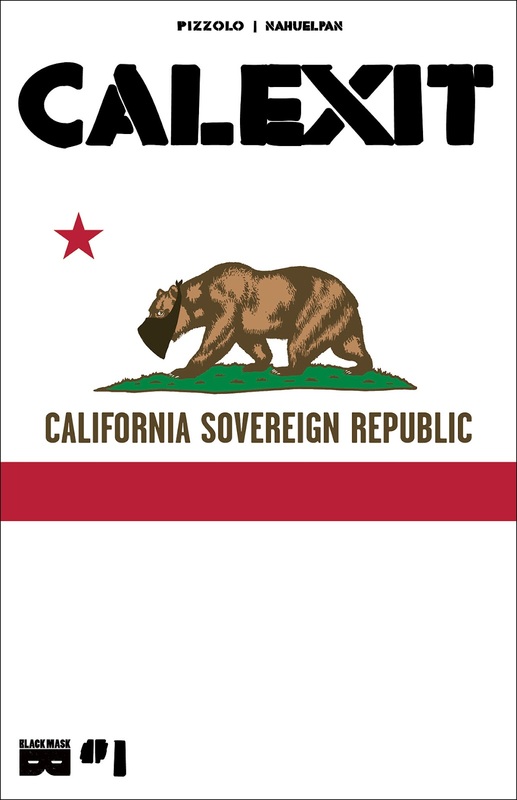 CALEXIT is Coming. A Provocative, New Comic Book from Black Mask. What if a fascist, autocratic President took over the United States? And what if that President lost California, the sixth largest economy on Earth, by nearly 2-to-1...a margin of almost 3 1/2 million votes? What if the day after that President took power, the largest mass demonstration in history occurred, and the state with the largest turnout was California. And then, the following week, two of the largest international airports in the world, California’s LAX and SFO, were blockaded by protesters? What if California refused to be ruled? “I can’t think of a time when confronting the status quo with progressive, political art has been more important,” said Brett Gurewitz, co-founder Black Mask. “Black Mask Studios has consistently focused on stories that are both entertaining and have a real message driving them. 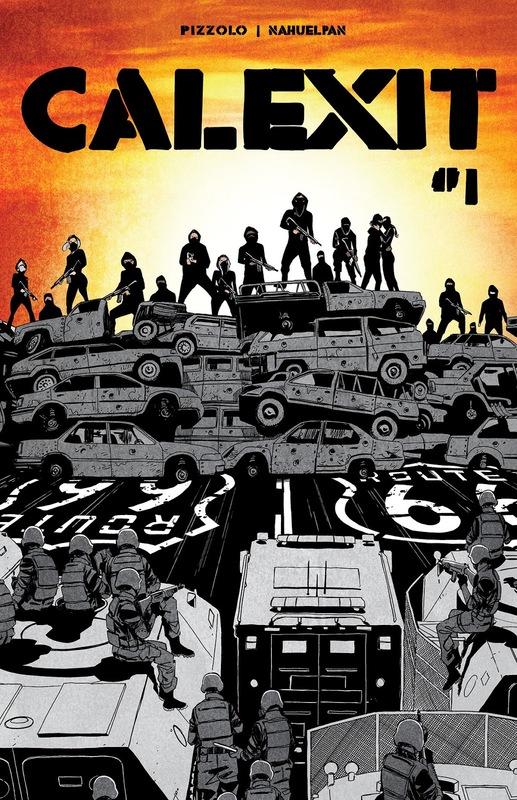 With OCCUPY COMICS, we published stories devoted to the goals and themes of the Occupy movement. Since then, we published stories about living under a fascist state (GODKILLER), about fighting celebrity politicians (YOUNG TERRORISTS) and gentrification (THE DREGS). We’ve published the 2017 GLAAD nominee KIM & KIM, and the creators of the breakout hit BLACK have donated proceeds to Black Lives Matter. The fact that the comic market is supporting brave voices like these is a real testament to comics' crucial role in our national and international cultural dialogue."